A set of four antique side tables are transformed. 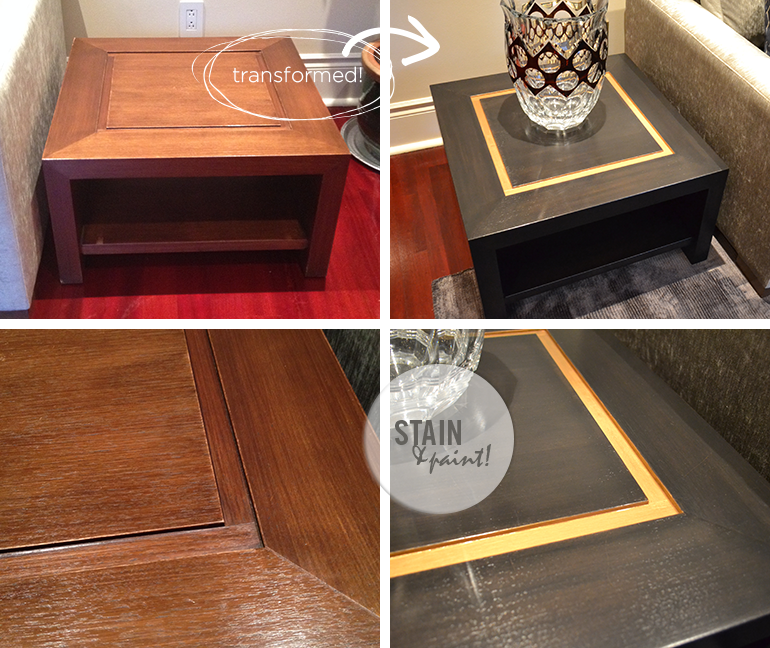 Good quality but dated: these wood side tables were in need of a makeover! The original reddish brown stain was stripped. 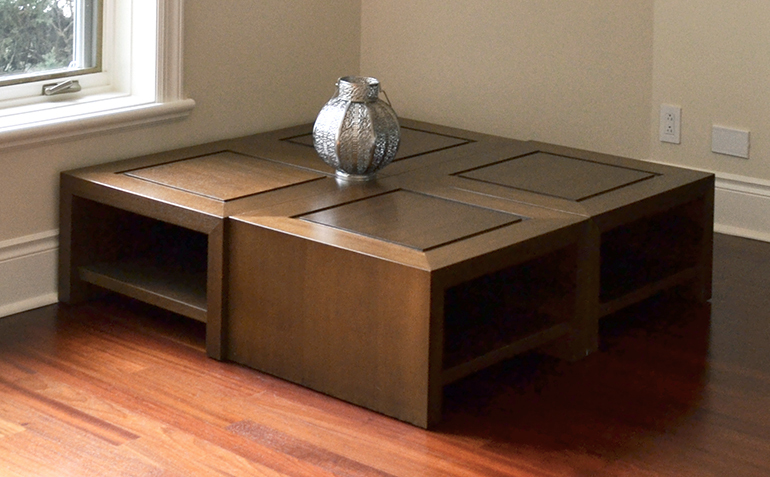 Black stain was used to create a dark base colour without concealing the beautiful wood grain. A touch of luxe was added by painting the grooves with a metallic gold paint.